During our Thailand travel tour 2006 Marius and me was in Phang Nga in the south of the Kingdom. We stayed at the Thawisuk guest house. The price for a doble room with fan was 150 Thai Baht for two persons. At this Hostel is nothing special, a bed, a window and thats it. 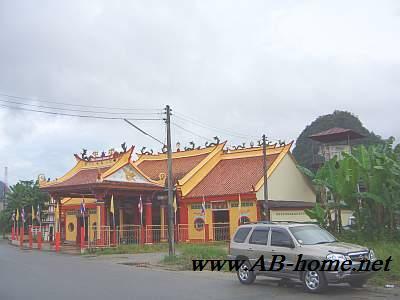 But for 150 Thai Baht the Thawisuk is one of the cheapest guest houses in Phang Nga Town and a good address for backpackers and travelers. 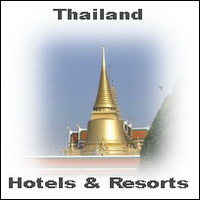 More accommodations you can find in the Lonely Planet Guide for Thailand or Southeast Asia. We travel here from Phuket by public Bus. The Hostel is just a short walk from the Bus Terminal. The landscapes here in this city in Thailand are dominated by chalk rocks and tight forests. It’s a nice view when the mountains catch the clouds. 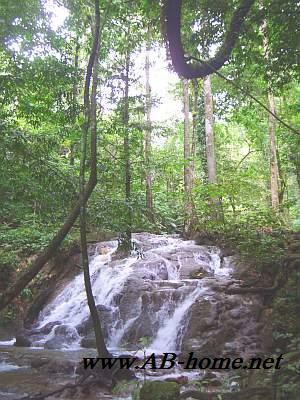 We come here to visit the Sa Nang Manora Forest Park a bit out of Phang Nga Town. Here you will find a small river who flow slowly thru the jungle. The water pass many small waterfalls and rattan palms. The way threw the Sa Manora Park is a normal jungle way how you can find in many National Parks in Southeast Asia. The entry to the Forest Park was free, we just had to pay for the taxi. The best way to travel here is with a Motorbike because in lowseason its difficult to get a taxi back to Phang Nga Town in Thailand. From here we traveling to Ranong by public 3th class bus the travel turn took us about five hours. 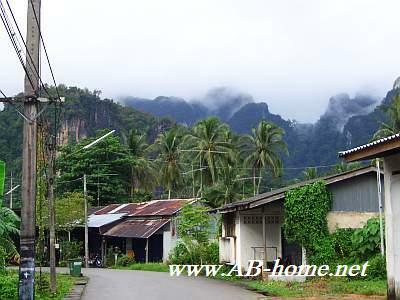 Phang Nga is a nice and quiet city with many untouched nature. I can recommend this town for one or two days stop for traveler and backpacker in Thailand. For more Informations about Hotels, guest houses and Restaurants read your Lonely Planet travel book.